I was young and impressionable when I first saw the 1985 horror flick Re-animator. 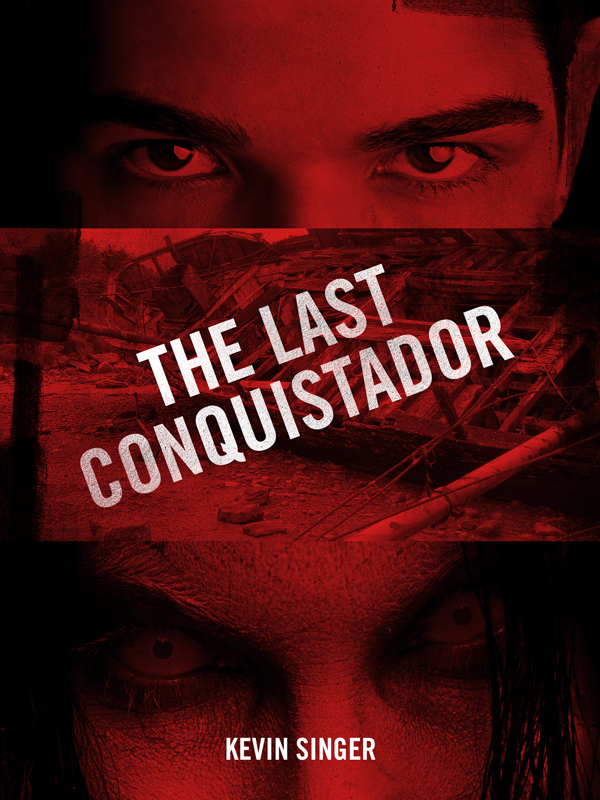 The best way to describe is as a Frankenstein story, with the heartwarming parts hacked out. The source for this story? Providence, Rhode Island’s own H. P. Lovecraft. 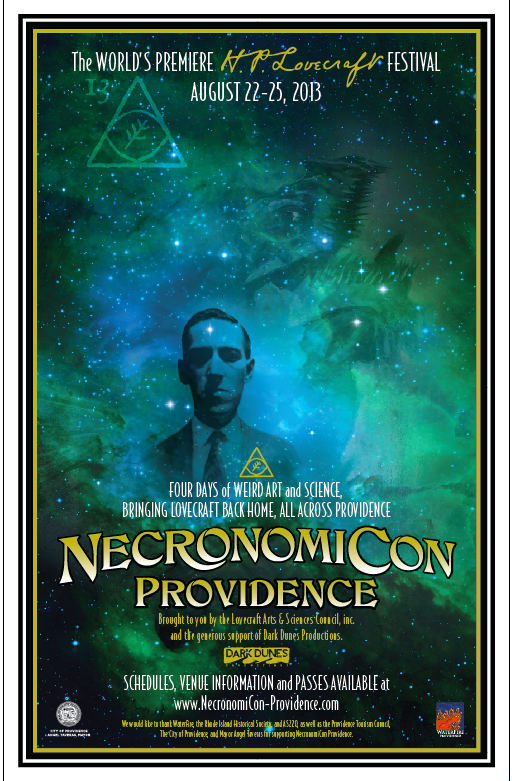 This Sunday I got to re-live this part of my adolescence at NecronomiCon, a convention devoted to all things Lovecraft, in Providence, of course, where I sat at a table selling copies of The Last Conquistador. I don’t pretend to write pure horror in the Lovecraftian form. First, what exactly is that? In my take, Lovecraft’s horror is ultimately bleak, There is no hope – not even a thread. This makes it all the more chilling. The creatures who populate his tales aren’t so much malicious as uncaring, and pretty much unstoppable. Lovecraft excels in mood, and there is only dark. Edward Lee is a writer in the Lovecraft style. City Infernal, about one girl’s journey through (literal) hell, rivals Lovecraft for darkness, though his heroine, Cassie, is tough and modern (in other words, there is a thread of hope). It is an exciting book that I tore through. And not only is there’s a great sequel – Infernal Angel, but another related book, Lucifer’s Lottery, which features as a character none other than Mr. Lovecraft. Even bleaker? 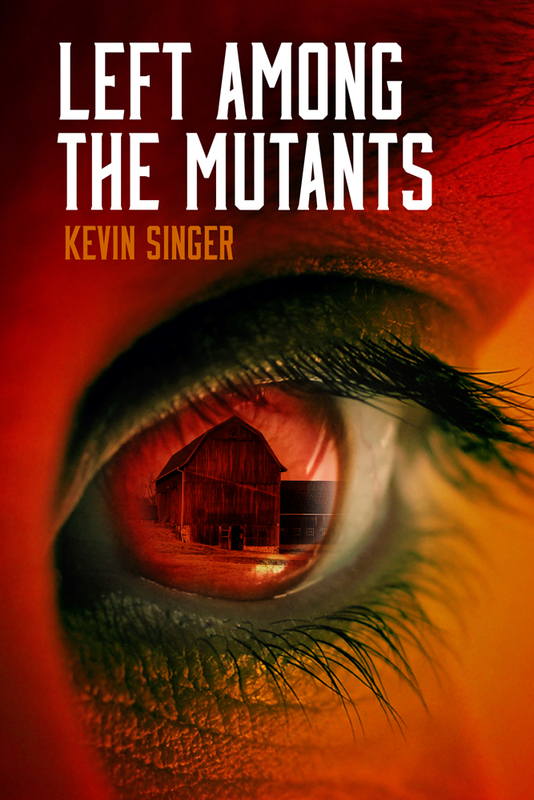 Try Brian Keene‘s zombie horror The Rising, where it’s not only humans turning into zombies. Don’t even bother uttering the word ‘hope’ on this thrill ride. I’d say Lovecraft would be proud of these guys.